Listen to “Michael Lee Hill 07/26/15 Anunnaki, AR Bordon” on Spreaker. Michael Lee Hill is in the direct bloodline (haploid group) of the Anunnaki, though his Iroquois ancestors. He has filmed UFO comings and goings from Lake Erie and studied with Anunnaki-Earthling sage A.R.Bordon. UFO Hunters decide to test Michael Lee Hill’s blood and it is revealed Michael has a “Unknown” very rare blood anomaly/bloodline that the worlds best military and civilian doctors are at a loss to explain. A Harvard doctor uncovered non-normal human elevated levels of Creatine Kinase in Michael’s Blood stream. 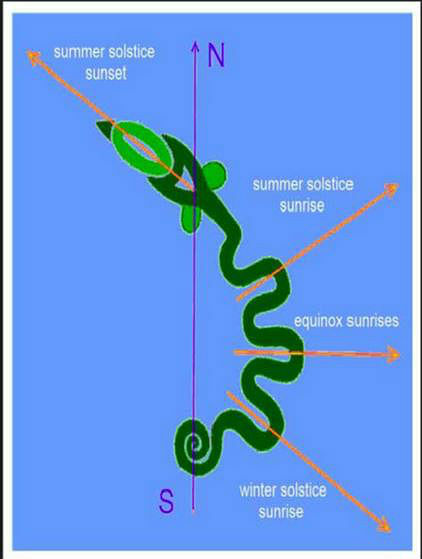 Hill has called the world’s attention to a 2011 crop circle in Italy with ASKI symbols from Enki that convey the magic frequency of 432 HZ that informs the geometries of the the universe. Prince Marduk, who has been running the Earth atop the pyramids of clandestine governmental, intelligence, spacefaring, military, criminal, banking, opium-financed and ET-Earthling research projects has contacted Hill. 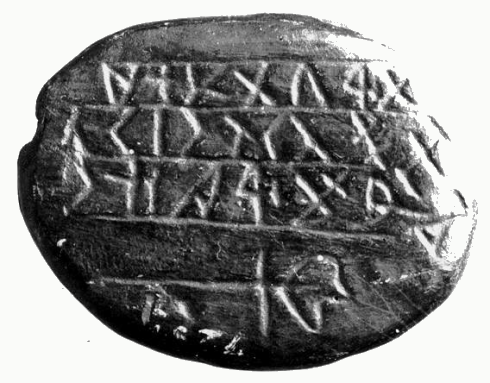 Marduk claims to have had a great change of heart, been redeemed, and wishes to make amends to humanity for the harsh treatment to which he has subjected us [Penre, W.,2010] . Below is Michael’s account of his encounter with Marduk. In July, 2008, a man called “Loki” led Hill into a round gazebo named, “I Dream of Genie Bottle”. There, Hill met MARDUK, in control of Earth since 70 CE. Marduk, Hill writes, wore “a glowing, white-hooded robe and his face was not human, wavy with very sculpted features, very beautiful. He seemed transparent.” His face seemed translucent. 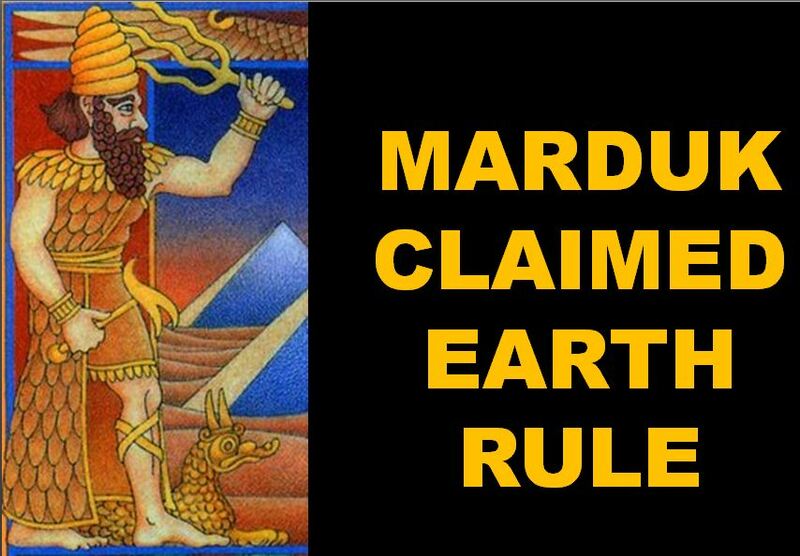 Marduk said Hill’s belonged to the Serpent Lineage within the Anunnaki Ruling Family that supports Marduk. Marduk said Loki led Hill to the gazebo to discuss how Marduk would bring a change how Nannar runs the Earth. Marduk said he had a new “game plan” for humanity and that both Hill and someone else were incarnated here now to help Earth with its end time changes. Next morning, Hill saw Marduk and a female walking up to his tent on the dirt road, and though they looked like Earthlings, Hill instantly “knew” it was the Anunnaki leader and his consort. Marduk said, “Good morning, Commander Michael.” Hill now saw Marduk had radiant blue eyes. He and Hill spent that day together, and Marduk made dinner for Hill. (Bill Birnes writes,‘The Anunnaki are not 3rd Density beings; they are interdimensional and capable of bending and manipulating light so what we see can have a different shape and form if we look at them from a different light perspective. This encounter with Marduk led Hill to find Bordon and help disseminate the info from the link we now share with you. Since this encounter, word has come from Michael that the Nannar vs Marduk period that marks the end of the difficult times (Kaliyuga) is ending. Instead of either Marduk or Nannar generating the ethos of the era into which we now move, the Galzu, from a higher consciousness perspective than that of the Anunnaki, now bring peace to the Anunnaki factions that have been contending for control of Earth. Welcome in the new age, the Satya Yuga, Age of Aquarius. Sgt Major Robert Dean (ret), relates how Anunnaki met with U.S. leaders and a Catholic cardinal in 1954 and how Pres. Eisenhower signed in signed a treaty with them. In North America, the highest concentration of Type X lineage was within the Iroquois nation (Ojibway, Oneota and Nuu-Chah-Nulth tribes). 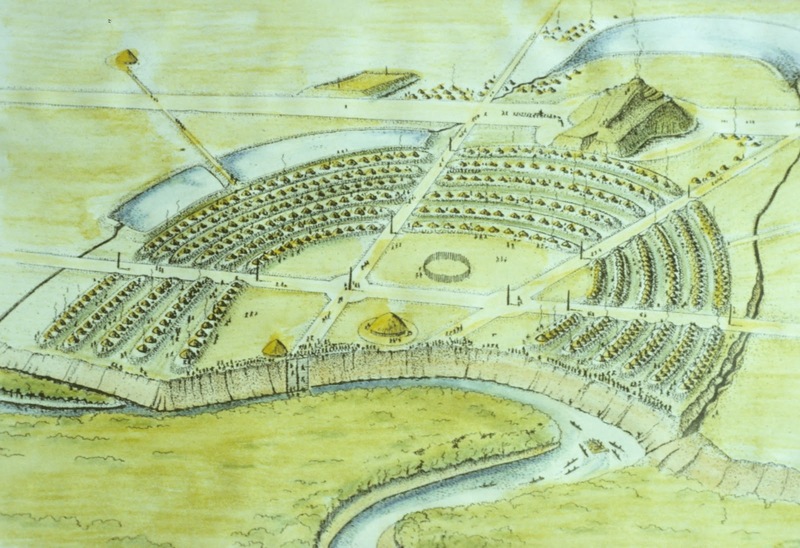 Cayce reported some Atlanteans went on to the American Southwest and Midwest. The Navajo (Southwest) and mound builder region (Midwest) also contain some Type X subjects. 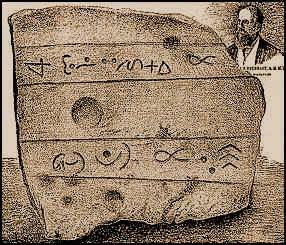 Cayce predicted that Iroquois Indians are the remnants of the “Mound Buiilders” of Ancient American history , which Cayce reveals were the remnants of the Atlantians or Poseidons as Edgar Cayce called them (Enki-ites). The Mound Builders (Native American Anunnaki) are a culture which predates the north American Indian tribes thousands of years, this “Mound Boulder” culture later on intermingled into the North American Indian Tribes, mainly Iroquois, Cherokee, and Sioux, which are Dakota, Lakota, and Nakota Native American Indian Tribes. This is the revealing of the Nephilim Bloodline through the North America Native Indians with DNA evidence in the form of DNA Haplogroup X2a, a recently disovered (1997) Human DNA group which is mainly only found in the sometimes giant skeletal remains removed from Ancient American Earth Mounds, Ancient Egypt and at least 3% of Native American Indians today. 1. Most recent in time – Present – Haplogroup X2a exists in at least 3% of today’s Native American Indian Tribes, this percentage can be much higher because most Native American Indians have not had there blood/DNA tested. 2. 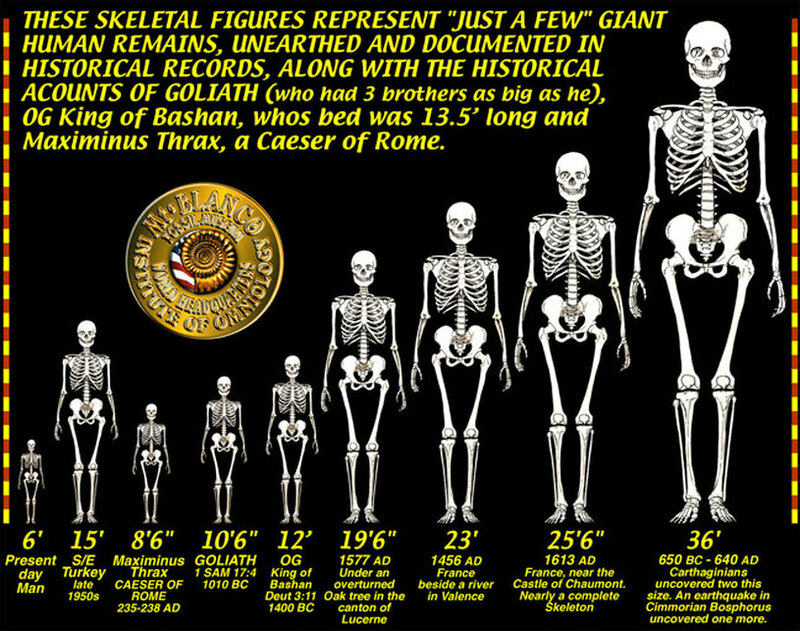 In our recent Past – Haplogroup X2a was also found in the tall skeletal remains (Giants) found in North America’s Ancient “Mound Builder” sites. 3. In the distant past the highest concentration of Haplogroup X2a was found in “The Hills Of Galilee” region in northern Israel. Haplogroup X2a is the “Holy Grail” Bloodline, “The” Lost Tribe of Israel. The royal Anunnaki–Anu, Enki, Enlil–originate from the Sirius, Orion, and Pleiadian star systems; some Anunnaki also classify themselves as Pleiadians. Pleiadians–our creators, are closest to Earthlings in the way they look. Enki’s mother descended from Pleiadians. 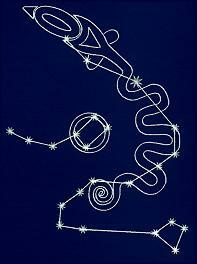 The name Pleiades are named after Enki. 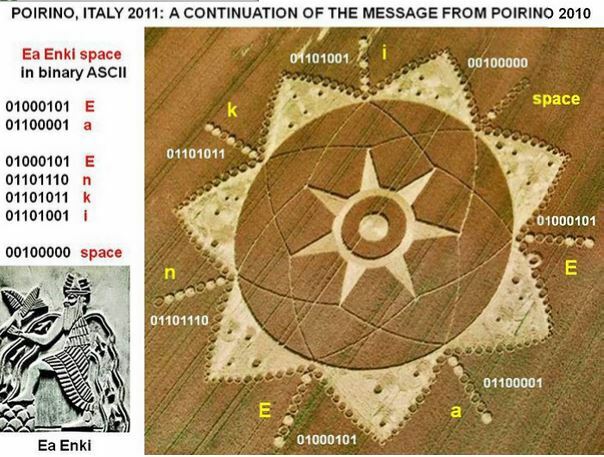 A similar crop picture which appeared near Poirino, Italy on June 20, 2011 shows at its centre a large seven-pointed star, Even more interestingly, a series of seven rays along the outside of that new crop picture at Poirino are written in eight-bit ASCII code, and seem to identify the crop artist as “Ea” or “Enki”, who was a extra-terrestrial god in ancient Sumeria. According to ancient legends, he and NINHARSAG created modern humans by hybridizing sperm from the male gods with eggs taken from local aboriginals, already living on Earth tens of thousands of years ago. Both Crop Circles, A 27 Hz frequency creating the Enki-Ea Seven-Ponted Star, and the D 36 Hz frequency creating the Six-Pointed “E=MC2” fall within these most harmonic numbers frequencies. They both are related to a 432 HZ Pythagorean tuning or Diaspan. Earth and humanities true hidden history from the actual record keepers of this knowledge being the Native American Indians, Think about what is going on with standing rock right now. My Tribe the Seneca of the Iroquois ALREADY have their own “Country” right now within NEW YORK in the United States, This is NOT a Indian reservation so to speak and not many know this fact. Also Nine months before its 99-year lease was set to expire, the city of Salamanca, the only city in the nation built on land leased from an Indian reservation, has reached a new rental agreement with the Seneca Indians, officials said today. The agreement calls for a $60 million payment to the Seneca Nation from the Federal and state governments, and for annual lease payments from the city to the Indian nation to increase about 14 times, to $800,000 a year. The new lease would run for 40 years, with an option to renew for another 40 years. Ask yourself why The United States still to this day allows the Seneca Iroquois these “privileges.” It is because the Knights Templar who are the “Good Guys” know exactly who the Seneca are because they brought the Sangreal Holy Grail “Bloodline” to the United States which then became the Seneca when they fled Israel and became lost, or hidden becoming the fabled Lost Tribe or Nation. Our United States Forefathers went to the Seneca Indians to learn from them how to create the Constitution, and the Unites States. And the Templars then became very involved in the creation of the United States. Do you think the Seneca are going to sit back and just watch their Blood being abused in Standing Rock? If Obama hadn’t done the right thing and stopped the Pipeline from going through as he did, the Anunnaki would have would have decloaked right then and there, this is their Nephilim children these dark ones are torturing for peacefully protesting on there own land to save the water. The Templars and all their “Gold” wealth will be coming out to free mankind from the dark Cabal, that is what the “Templar Treasure” has always been for. And all will be revealed. There are 3 radio shows here; you can hear them when you click the arrow on the icons you see. Dr. Sasha Lessin and Janet Kira Lessin interviewed Michael Lee Hill on the Cosmic Conspiracy, Tuesday, September 9, 2014 and on May 10, 2015. He said, “Edgar Cayce predicted what I have learned about my Nephilim Mound Builder Indian heritage from the Anunnaki themselves and today’s top medical science. “I recently found out I have Native American Indian Heritage DNA Haplogroup X in late 2008, I found out when I met my Biological Mother for the first time in my life that I am of Iroquois (Seneca) on my mothers side, and Erie Montaukett or Montauk Indian on my Father’s side! “The history channel revealed on the show UFO Hunters TV show that I do not have normal human blood by a Harvard Professor names David Systrom. That episode (Alien Contact) first aired early 2008, I was soon met by the Anunnaki face to face in the summer of 2008 and they told me that they wanted to clear up what the History Channel had revealed for me and my blood anomaly, That I was of the Nephilim Bloodline (Anunnaki/Elohim/Human Hybrid) and I would know what this all meant in the not so distance future. Well all the pieces are coming together it now seems. “At this time in my life I had NOT yet met my Biological Mother and had no clue of my Native American Indian heritage or what an Anunnaki even was. “What has recently blown my mind is that Edgar Cayce predicted exactly this! That Iroquois Indians are the remnants of the “Mound Buiilders” of Ancient American history , which Cayce reveals were the remnants of the Atlantians or Poseidons as Edgar Cayce called them. (Enki-ites). This is the revealing of the Nephilim Bloodline through the North America Native Indians with DNA evidence in the form of Haplogroup X which is a recently disovered (1997) Human DNA group which is mainly only found in the sometimes giant skeletal remains removed from Ancient American Earth Mounds, Ancient Egypt and still today in the Iroquois tribe of Indians. “Anthropologists once believed North and South America had initially been populated by Asians crossing a land bridge connecting Asia and Alaska during the last Ice Age, some 20,000 years ago. However, recent genetic DNA analysis of Native Americans now places the initial wave of migration between 38,000 to 50,000 years ago. “Genetic DNA analysis can trace the ethnic tribal lineage, and thereby land of the origin, of a human being. Native American tribes contain four distinct DNA groupings, designated A, B, C and D. These groupings are found in Asia but not in Europe or Africa. 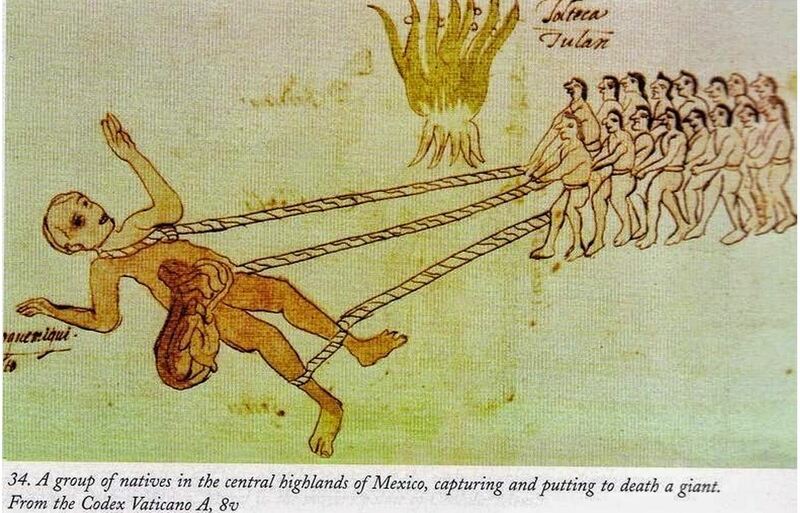 While 96 percent of all indigenous natives in North and South America fall within A, B, C and D, there was a mysterious four percent, dubbed Group X, which could not be explained. “Type X subjects were not found in the vast majority of tribes, including none in South America. It was also determined Type X subjects arrived in North America 10,000 to 38,000 years ago, later than the other groups. By far, the highest concentration of Type X in Europe was found in the Basques, a race of Caucasians who live in the Pyrenees Mountains between Spain and France. And the highest frequency of Type X in the entire world was found in the Berbers, a race of Caucasians who live in the Atlas Mountains of Morocco in North Africa. The Basques and Berbers have long puzzled anthropologists, linguists and historians because they don’t seem to fit into their continental surroundings. “However, independent researchers of the Association of Research and Enlightenment (A.R.E. ), followers of Edgar Cayce, have come forward and made a few observations of their own. Known as the Sleeping Prophet, Edgar Cayce (1877-1945) is considered by many to have been America’s foremost psychic. Throughout his lifetime he performed over 14,000 readings while in a self-induced trance. Although delving into many subjects, 8,976 of his readings, transcribed onto 900,000 pages of notes, were devoted to medical problems, a majority of which were resolved, often advancing current medical technology. “Cayce’s readings were always recorded by a stenographer. To do a medical reading on a subject, all he needed was the subject’s pre-arranged location at the time of the reading. On one occasion, Cayce went into a trance and declared that the subject was not at the location where he was supposed to be at the time. The subject had forgotten about the meeting and was indeed not at the pre-arranged location at the prescribed time. On another occasion, Cayce was to do a reading for a ship’s captain who was at sea. When Cayce went into his trance, he realized the fellow could not speak English, so he did the entire reading in fluent German, a language he had no knowledge of when awake. “Cayce had a unique talent, although he claimed that everyone had the capability to do the same. In addition to medical inquiries, people would often slip in questions about the past or the future. An extremely high percentage of Cayce’s “predictions” of the future have come true. And now the genetic DNA analysis findings of Type X may actually lend additional credence to his psychic readings as well. “Many of Edgar Cayce’s readings concerned the island continent of Atlantis, the fabled empire located beyond the Pillars of Hercules (presumably the Rocks of Gibraltar in the western Mediterranean), as thoroughly detailed in Plato’s TIMAEUS, that fell into the sea. Cayce’s readings described three separate disasters that befell Atlantis. “The first catastrophe happened in 50,700 BC, caused by an explosion of gas pockets within the earth that triggered volcanoes and earthquakes, generated a magnet pole shift on the planet and produced a great Ice Age. “The second catastrophe occurred in 28.000 BC, coinciding with the Biblical account of Noah and the Great Flood. After the deluge, the continent had been broken into three main islands: Aryaz in the east (present day Azores Island group), Poseidia in the north (West Indies area), and Og in the south (near South America). “The final catastrophe took place in 10,600 BC. There were gigantic land upheavals upon the earth and the remaining land mass of Posedia and Aryaz (except for the mountain peaks) disappeared into the seas. 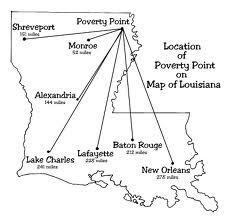 “The Cayce readings indicated the Atlanteans had been forced to relocate to various distant lands during the catastrophes, specifically to the Pyrenees Mountains (between Spain and France), Morocco (Atlas Mountains), Egypt (where they built the pyramids) and North America (where they formed the Iroquois nation). All Type X locations. “In North America, the highest concentration of Type X lineage was found within the Iroquois nation (Ojibway, Oneota and Nuu-Chah-Nulth tribes). 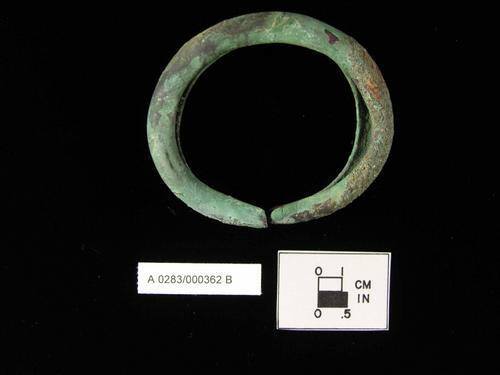 Cayce also reported some Atlanteans went on to the American Southwest and Midwest. The Navajo (Southwest) and mound builder region (Midwest) also contain some Type X subjects. Everywhere Edgar Cayce claimed the Atlanteans settled after their land disappeared has a high unaccountable occurrence of a specific DNA type (type X) found nowhere else on this planet. This isn’t proof of the prior existence of Atlantis, but we live in a very strange universe where everything is a sign that holds a mystery. “Cayce had the ability to link to the Universal Consciousness, also called the Akashic Records. His readings are mysteries to be unraveled. Why is Ohio the place with the most frequent UFO sightings in America? 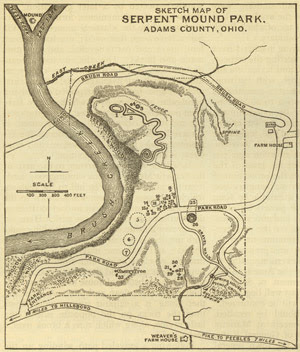 I think when in the near future when it is revealed that Northern Ohio was/is the home of one of the lost tribes of Israel, That the ones who were known in the past as the Nephilim – Amorites became known as the Mound Builders who created the Serpent Mound and the Newark Earthworks as well as thousands of other mounds here in Ohio, NY, and PA intermingled into the North American Iroquois Indian Tribe, the fact of what I just revealed was proven in the late 1990’s!, well that should bring A LOT of tourist attention to this area! “Why is Ohio the place with the most frequent UFO sightings in America? 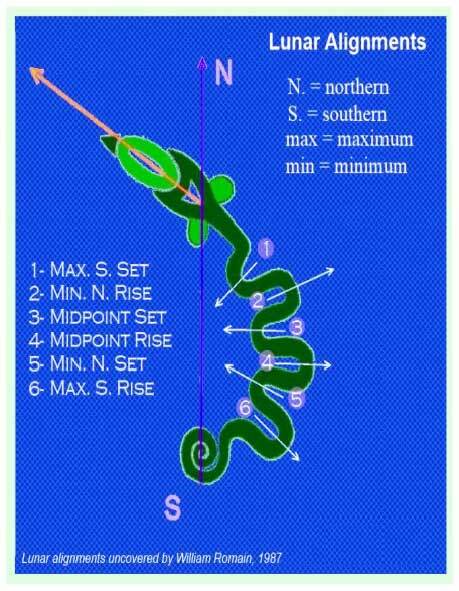 Is there anything special with that area making it such a large center for the incoming Anunnaki/Sirians? Why not some sparsely populated mountain ridge somewhere in a very remote area? “They Were Beings of Huge Stature.We know from the Bible; we know from Sitichin’s work, and we know from my own papers, that a lot of genetic experimentation and manipulation was taking place here on Earth. Around 500,000 years ago, this planet was taken over by Sirian forces, who later on replaced the slave workers of their own kind with a new species that they created in laboratories by mixing their own DNA with existing species already living here on Earth. That eventually turned into Homo sapiens, or Homo sapiens sapiens, which is us. “Another genetic line that was created here as well, which resulted in beings who, according to Lord ENLIL, contaminated the whole Experiment. 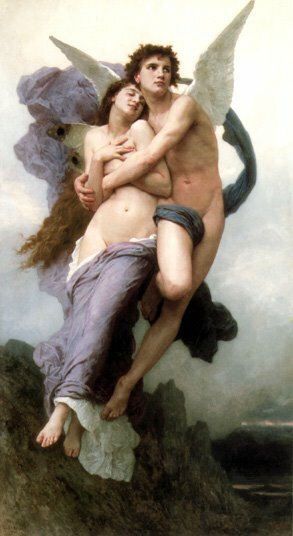 At one time, Pleiadian Giants, so-called ‘Fallen Angels’, descended to Earth and mated with human females, whom they considered irresistible. 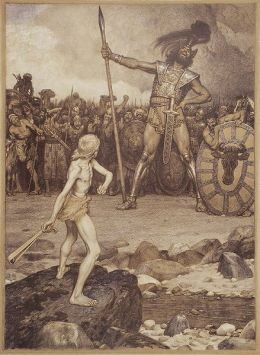 So, in laboratories they mixed their own Giant genes with that of humans, Sirians, and even Aryans (from Orion), and the offspring became Giants, the infamous ‘Nephilim’. They could reach from 6.5 ft to nearly 15 ft in height, and were the ones who built many of the incredible stone formations all over the world; including some of the pyramids. “According to the Bible, they all drowned in the Flood, but my own research is showing that some of these Giants survived the Deluge and continued to spread over the world, and once again became ‘Men of Renown’. We also know that Lord ENLIL was furious when he found out that species whom he thought were extinct due to the Flood had been saved by his stepbrother, ENKI. 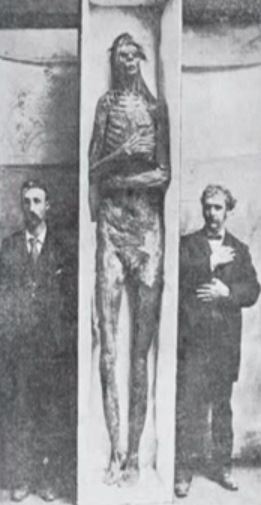 One of these species was the Pleiadian Experiment, the Nephilim! “However, there was allegedly a compromise made — perhaps we could call it a treaty — where it was decided that if the Nephilim should be allowed to survive, their DNA needed to be altered to lower their stature. So, in that sense, over generations most of the Giants actually became extinct, as these beings now had more human-like offspring. Indeed, with time, it became nearly impossible to tell who was of the Nephilim and who was a ‘normal’ Homo sapiens. 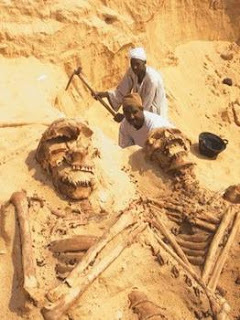 Although, I should add, there are still a few Giants alive on this planet, but they are currently residing underground. 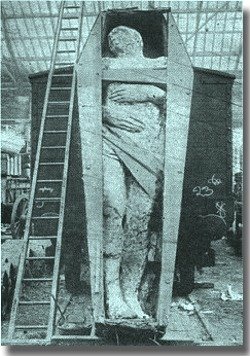 The Nephilim I am talking about are walking around among us, and no one can tell by just looking at them. “The spokesman for the secret society, ‘The Priory of Sion’, Nicolas Haywood, has started to come out in public, revealing some of their inner secrets. The Priory of Sion was mentioned in the book, ‘Holy Blood, Holy Grail’ in relation to the Jesus and Mary Magdalene bloodline. Michael Lee Hill has had the opportunity to talk to him as well, and Haywood indeed confirmed to Michael that the Jesus and Mary Magdalene bloodline is the Nephilim hybrid bloodline, that goes all the way back to the Anunnaki, as he put it. 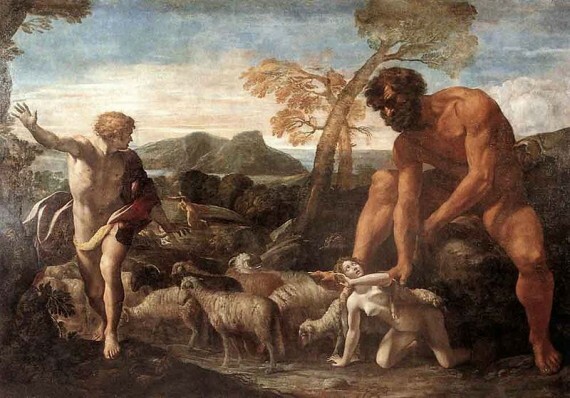 Wes Penre writes: “There is supposedly one way to tell whether a person is of the Nephilim hybrid bloodline or not, and that is to draw their blood and check the CK level. 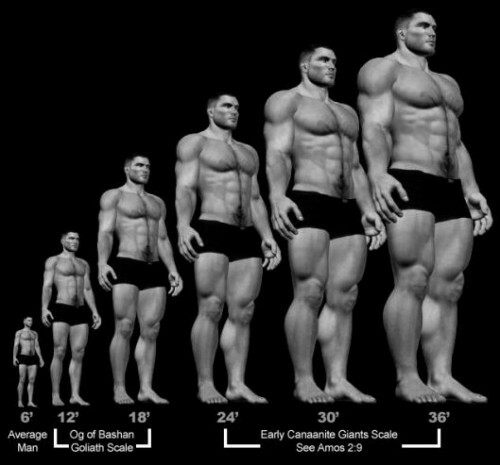 The Nephilim have a sky high level of Creatine Kenase in their blood! We are thus far aware of two people with a sky high amount of CK; Terrell Copeland and Michael Lee Hill! “Michael has had it verified by a number of ‘people in the know’ that he indeed is of the Nephilim bloodline, and he is quite sure himself that this is the case, because it seems to explain a lot of things for him. What Zimmerman exposes in his book and talks about in his lectures, built on his own vast and assuring research on the Nephilim subject, is that they migrated to America and to the Ohio Valley area from all parts of the world, and settled down there. Due to this migration, we can assume that there are a lot of Nephilim hybrids in the Ohio Valley area. 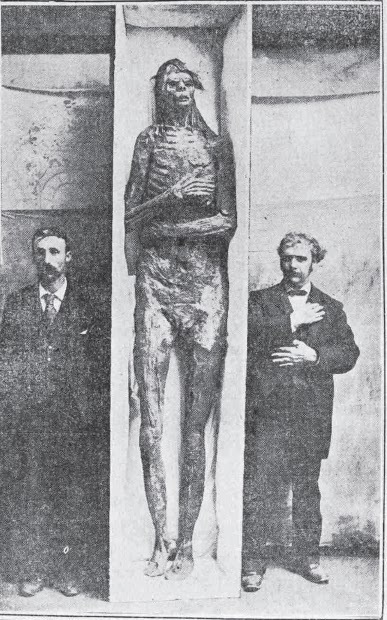 The Nephilim In The Ohio Valley! – Anunnaki/Human “Hybrids” in Ancient North American Indian Tribes! The Iroquois people have inhabited the areas of Ontario and upstate New York for well over 4,000 years. Technically speaking, “Iroquois” refers to a language rather than a particular tribe. In fact, the IROQUOIS consisted of five tribes prior to European colonization. Their society serves as an outstanding example of political and military organization, complex lifestyle, and an elevated role of women. Until the 1500s, the five tribes of the Iroquois devoted much energy toward fighting and killing each other. According to ORAL TRADITION, it was about this time that they came to their senses and united into a powerful confederation. The five tribes designed quite an elaborate political system. This included a bicameral (two-house) legislature, much like the British Parliament and modern U.S. Congress. The representatives, or SACHEMS, from the SENECA and MOHAWK tribes met in one house and those of the ONEIDA and CAYUGA met in the other. The ONONDAGA sachems broke ties and had the power to veto decisions made by the others. 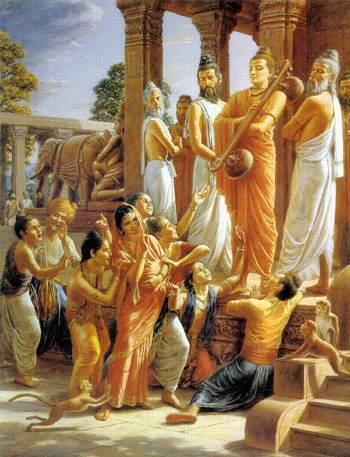 There was an unwritten constitution that described these proceedings at least as early as 1590. Such a complex political arrangement was unknown in Europe at that time. 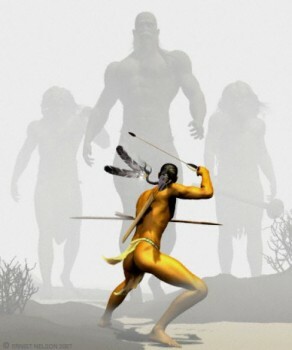 Iroquois Indian are the remnants of the mound Builders who are the Remnants of the Lost Tribes of Israel….The Nephilim! The Reality of a new unknown human DNA tracing back Ancient Times can no longer be questioned, it is real folks! 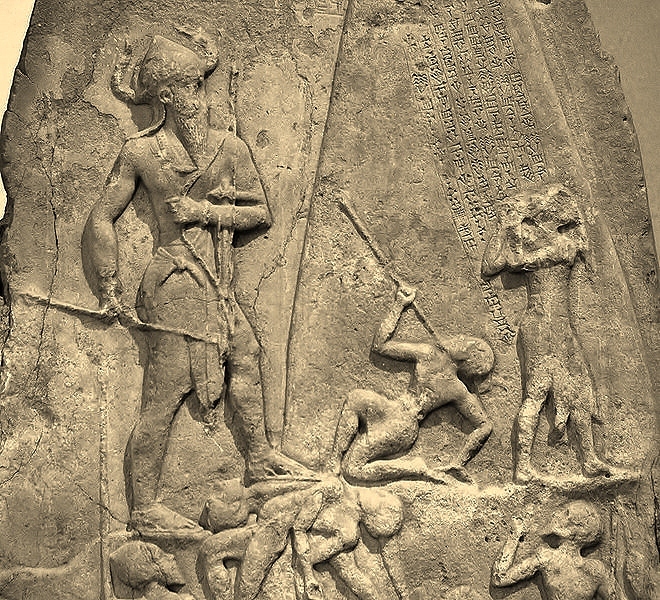 The Anunnaki Council of Enlil, Commander of the goldmining expedition from the planet Nibiru to Earth, exiled Marduk–once heir to rule Nibiru–from Egypt to North America in 8670 BCE for his attack on their forces. Marduk and his cohorts, 7-10 tall, blond and red-haired people, thousands of so-called “Mound Builders” built pyramids, effigies, fortresses, tunnels, energy-capacitating chambers, astronomical observatories and megalithic cities, as well as more recent burial mounds for tens of thousands of inhabitants all over North America, here long before modern Indians arrived. The Anunnaki mined gold and copper and used electromagnetic and sonar energy to move huge stones along many mile-lanes of magnetically-charged rocks like those Marduk’s father, Chief Scientist Enki, developed in southern Africa. Anunnaki sites in North America yielded iron implements, cuneiform writing, incised designs, woven fabrics and evidence of advanced metallurgy. The Anunnaki took descendants of Ka-in from Asia and of Adamu from Africa across both the Atlantic and Pacific. These Anunnaki and perhaps other extraterrestrials–the moundbuilders–far preceded both the Eskimo and “Indians” who crossed from Asia as well as the South American “Indians”–also descendants of Ka-in and Adamu who came north from the Lake Titicaca area. Some of these giants and their hybrid offspring may have stayed on as rulers of the more recent arrivals to North America, the ones who call themselves “Indians” and came to occupy the mounds of the ETs. Some of the giants had double rows of both upper and lower teeth and may have been cannibals. 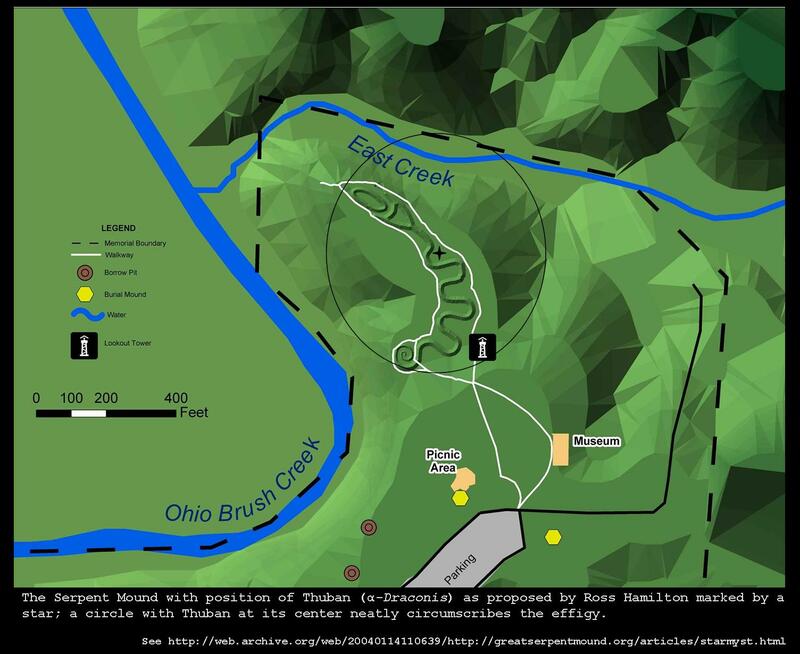 The Serpent Mound, on a plateau of the Serpent Mound crater along Ohio Brush Creek in Adams County, Ohio, is a 1,348-foot-long, five kilometer-wide,three-foot-high stone effigy of a snake with an egg in its mouth. This mound, which dates earlier than 3000 BCE, sits on a high hill beside one Earth’s largest geomagnetic anomalies–where an asteroid had, millions of years ago, hit, shattered stones down to two kilometers down constantly traps and changes its magnetic and gravitational field and generates “earthlights” when the electromagnetic field hits gases above. 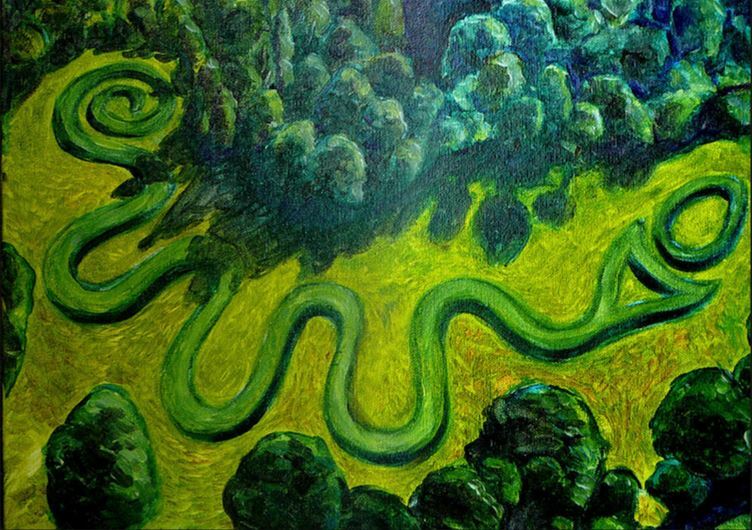 The electromagnetic energy channels through the vast cavern system in dolomite limestone beneath and focuses up through the serpent effigy, where it attracted lightning strikes and Anunnaki aircraft; it also let those who meditated at the site see images. Link To Recent Northern Ohio Lake Erie Anunnaki/Nephilim UFO Activity!